Finding the best apps for international travel is all largely a matter of traveling preference. However, we believe absolutely anyone who’s out on the road, in a foreign country, could benefit from any one of the apps on our list. Not only are they free, but some of them are also available for several platforms (Android, Windows, Blackberry, etc.). So, next time you’re feeling lost in translation abroad, there are two things you can do: use one of these chat apps to reach out to someone back home, or use one of the language translation apps that follow, to strike up a conversation with some friendly locals. Here’s a great little app for video calls and messaging, which Android users may already be familiar with. 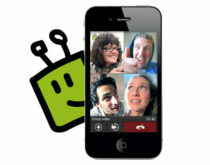 All video calls are free, both on mobile, as well as on PCs. You can create video conferences with up to 5 participants at the same time and mobile video and voice calls are free over 3G, 4G, and Wi-Fi. For the time being, the app, while free, is only compatible with a selected number of device types, such as the HTC Evo, the Samsung Epic, Samsung Galaxy S GT-i9000, as well as several other smartphones and tablets, but the developers are working on a new version, which would also be compatible with devices that have built-in front facing cameras. As far as iPhone apps for international travel go, there was a time when WhatsApp seemed unbeatable. It lead the market niche for messaging apps for the iPhone – but, then, in came Viber and stole its thunder. What does this iPhone-dedicated app do? It lets you call other iPhone users, who have the app installed, absolutely for free. The cool part is that, more often than not, the quality of the sound and the connection are far better on Viber, then when using the phone’s regular voice call function. There are no in-app purchase obligations and use of the app is completely free, so long as you’re connected to a 3G, 4G, or Wi-Fi network. Though only available for the Android OS, this great app is one of the best ever travel apps for Android, since it centralizes all your instant messaging programs, apps, and profiles. You can use IM+ to talk on Skype, AIM, MSN, Yahoo! IM, Facebook, Google Talk, and so on. The app is fully free and requires no SMS service in order to send out your messages. You can also use it for group chats and there’s a recently released video version available as well. Ever wanted to make one-way video calls, with friends who don’t have a camera, or don’t necessarily want to share their images with you, for any number of reasons? Here’s fring, an app that’s available both for iPhones, as well as for Android devices, and which comes for free. There’s a lot this little app does – so it’s no wonder that its developers have received numerous awards for it already. You can voice call for free, IM chat, use it with your iPod Touch, and aggregate most social network profiles with it (including Skype, Twitter, Yahoo!, and MSN). It works with push notifications, too, allows you to set statuses, and works via GPRS, 3G, Wi-Fi, and even Edge. Yes, we know: it’s no longer news for anyone that Google Translate is a great app. In fact, it’s absolutely the best smartphone app for language translation that you could opt for, since it does so much more than rendering written input into other languages. Google Translate can be used for speech, handwriting, and even image-based text. True, those latter functions could still use some tweaking from the good people at Google, but the truth remains that Google’s Translate app is the most comprehensive such app you can use while traveling. It has some 70 languages available and even comes with a dedicated Conversation mode, which you can use on the go. Bear in mind that this mode may not understand all accents and that the app is probably best used on Android phones and iPhones (but doesn’t work as well on the Blackberry, or on Windows phones). It still is a solid choice, and can even be used offline, if you download the language packs you need. There’s a bit of a controversy among iPhone users, as to whether iTranslate is a better language translation app than Google Translate. It certainly works better on iOS-powered phones than on the Android, thanks to its clean, sleek interface – but this doesn’t mean it’s not usable with great results by Android owners, too. 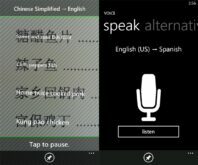 This app also includes some 70 language packs and it’s entirely free, save for those interested in using the voice recognition feature, too. This function will cost you an extra $3. Otherwise, there’s plenty this little app can do: it comes with a dictionary, a text-to-speech function, as well as non-Romanic character Romanization. Are you one of those select few who are adamant about still using a Blackberry in 2014? Very well, then – if you do and you also travel a lot, you could probably benefit from downloading and installing the Navita Translator app. It’s completely free and has been repeatedly dubbed one of the best ever apps for the BB. It’s able to translate from and into 60 different languages and works both with typed-in text, as well as with voice recognition. It provides translations in writing, but can also utter the out loud. It somewhat lacks in terms of design and interface, but given its functionality, as well as the fact that it’s also compatible with older devices, it’s not half bad as far as language translation apps go. If you’re on Facebook a lot, there’s no way you haven’t noticed how Bing tends to be on the receiving end of numerous translation-related jokes. True, the translate function implemented on the social network has often produced hilarious results, but the app is rather decent, if you own a Windows phone and require quick access to translation services and dictionaries. The bad parts: it only includes 40 languages, far behind Google’s impressive 70. On the upside, though, aside from voice recognition and written text translation, the app can also be used together with your phone’s camera – say, for when you want to understand what a sign or menu means. It works in offline mode, too, and also provides spoken word translations.